So I have finally tired of my Greek salads. That's right after pulling a Jennifer Aniston and eating the same thing for lunch everyday for months I finally got a little sick of it. 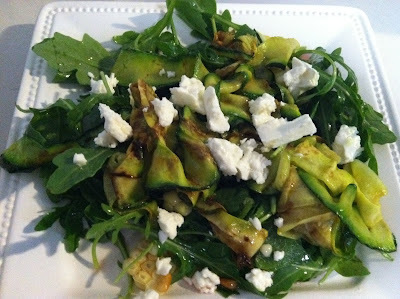 I came across this recipe on pinterest, which led me to a new favorite blog, Proud Italian Cook. All of her food is right up my alley made with fresh produce and pasta, and her pictures are gorgeous. You will want to cook/eat everything on her blog! This salad is truly delicious. I even made it yesterday with squash instead of zucchini and it was still fabulous. I also added corn into mine because we had some extra we had grilled over the weekend and I thought it was the perfect addition. This salad will be your new go-to salad and not to mention it would be gorgeous to serve at a dinner party. I have no exact measurements so just use as much or as little as you prefer. 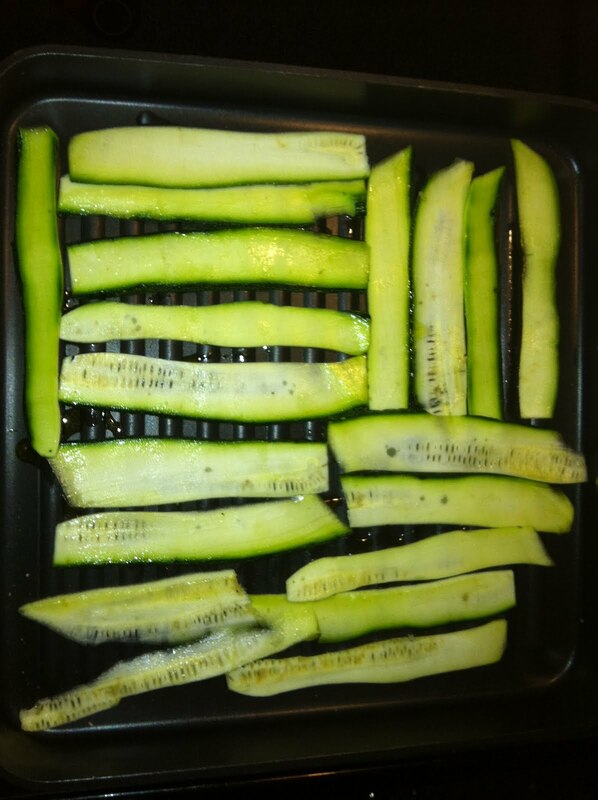 I used about 1 zucchini per salad and grilled it in two batches. 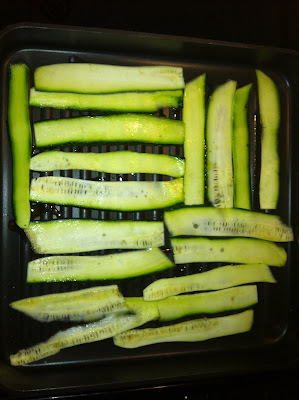 You'll want to make sure you cook your strips of zucchini either in a stove top grill or saute pan coated with a tiny bit of olive oil, they only take a couple of minutes. Make sure they cool completely before adding them to your salad. This looks delicious and a nice switch up from the same old thing...I'm a repeat offender too. Thanks for passing along the new blog! Yum! Your pictures are just as pretty as hers! This looks so healthy and delicious! Great recipe! Looks delightful. And I have no idea how you ate the same thing every day. I would have been so bored. This looks fab!Always on the lookout for new recipes.Love Italian food!! Looks so delicious and reminds me of a similar zucchini salad from Bon Appetit that I am addicted too! 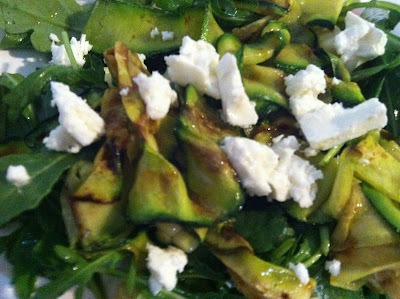 Except you don't cook the zucchini, just shave very thin and the dressing does all the work!!! Can't wait to try this one!! Oh yuummmm-O! This looks amazing! And healthy too! This looks so delicious! I can't wait to make it, thanks for the recipe! Looks yummy! Your white pizza dip was a huge hit on Saturday! wow! that looks ah-mazing! yum! Love zucchini ribbons! A good change of pace from regular old salads! You are making me hungry...and it is *way* too late to be hungry! (c: I really like the different mix of ingredients and you are totally right, it looks great, too!